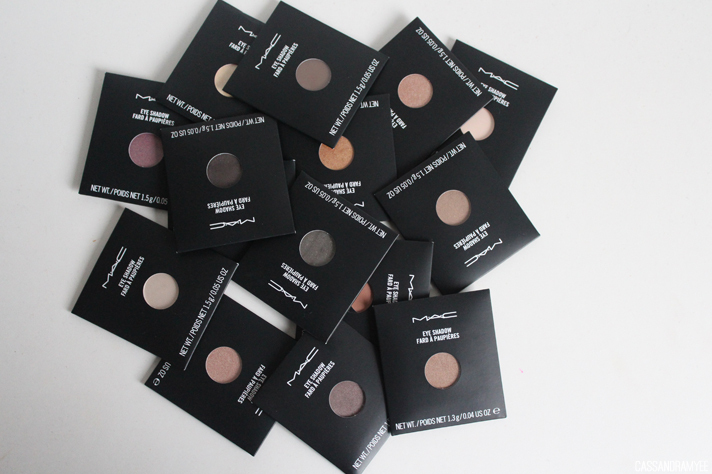 I had been keeping a wishlist of MAC eyeshadows I wanted for a really long time, I would often just go onto the site and browse through all the shades compiling them into the perfect palette, so I was pretty darn excited when I actually got the chance to make it a reality! I used the custom palette builder on the website, where you can choose the size and if you want blushes or shadows etc. 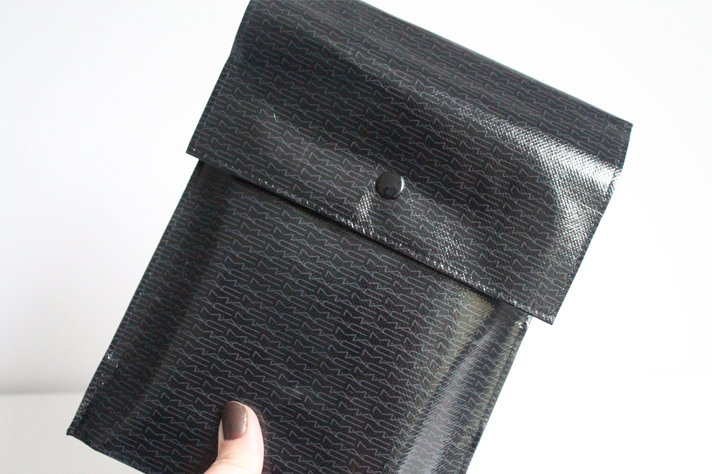 Then you pick the shadows you want, making a virtual one online and then add it to you cart! The palettes don't come assemble and come in their separate parts and it just adds to the fun of building it all yourself when it arrives! 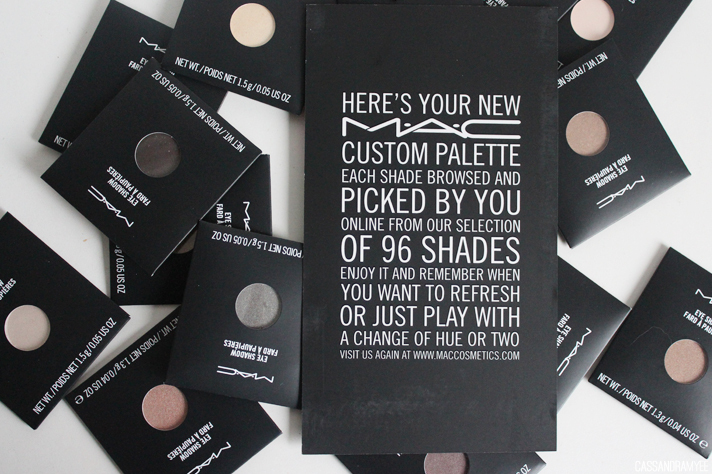 I had about 10 shadows I was certain I wanted to get and spent a very long time contemplating, reading reviews and looking at swatches to choose shades I knew I would love and get a lot of use from. It's a beautiful sight really! 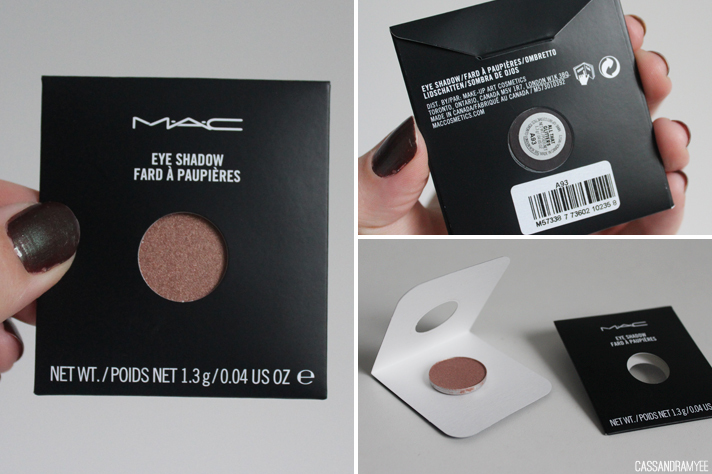 The eye shadows come simply in a a little cardboard casing, with the pan sitting in it which I didn't think was overly secure, but they all survived the trip. The single shadows that come in the pots are USD $15, or the easier way to buy them I think is in pan form for only USD $10. 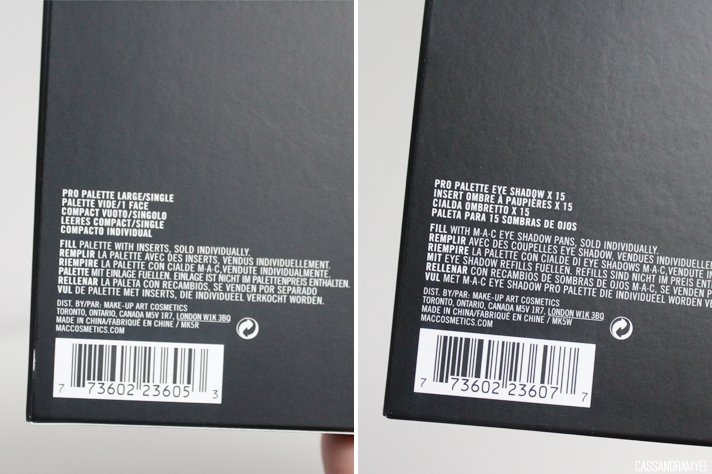 It already comes with the names printed on the back as well so you'll always remember the colour names. Tomorrow's Part 002, I will be talking all eye shadows and showing swatches of each shade I picked, so stay tuned for that! By using the Custom kit builder, you instantly get the Pro Palette and the insert that comes with it and you don't have to add it into your cart when you buy. 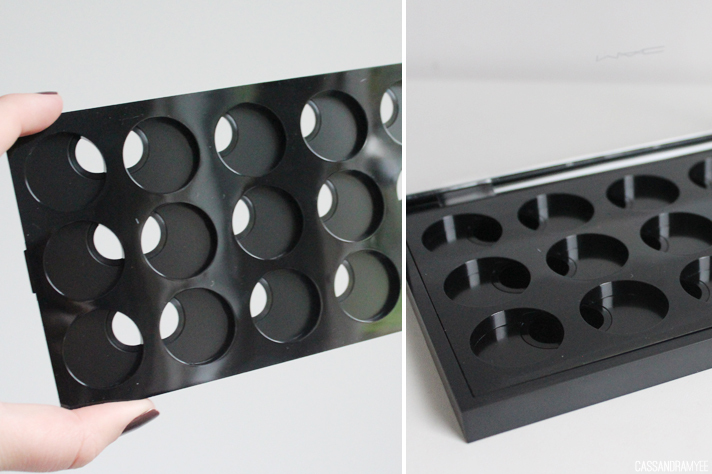 The Pro Palette Large/Single is simply its housing, which you can purchase individually for USD $8.00. 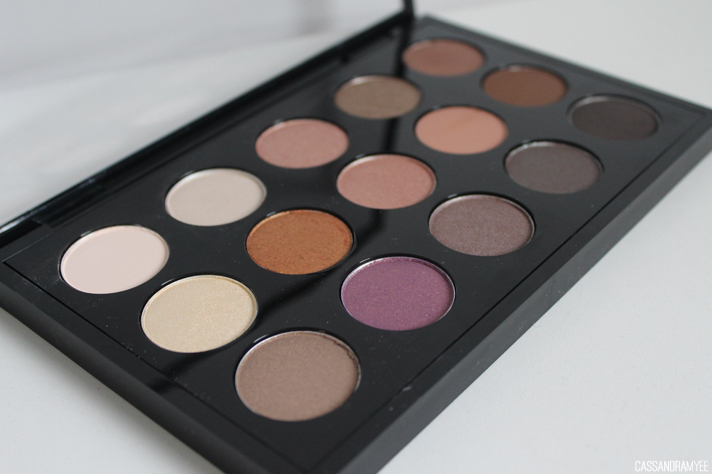 The Pro Palette Eye Shadow x15 Insert is only USD $2.00. 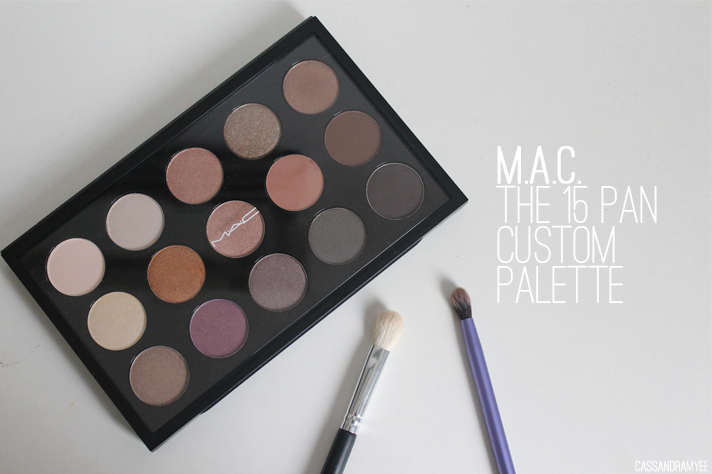 The overall palette cost USD $160, inlcuding the 15 eyeshadows and the palette case and insert. 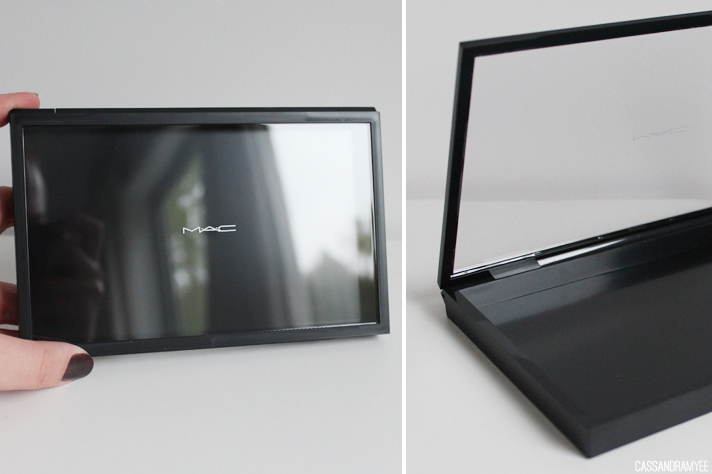 The Insert has all the magnets and it slots into the housing very securely. I have noticed that the magnets don't seem that strong, as the pans swirl and move around quite a bit, although they don't fall out. The overall palette feels strong and sturdy and the clear lid makes it easy to the see the colours and just generally looks pretty amazing! And here is the final product! Tomorrow I will have more details on the actual eye shadows with swatches of all the shades, for now, can you guess them all?! 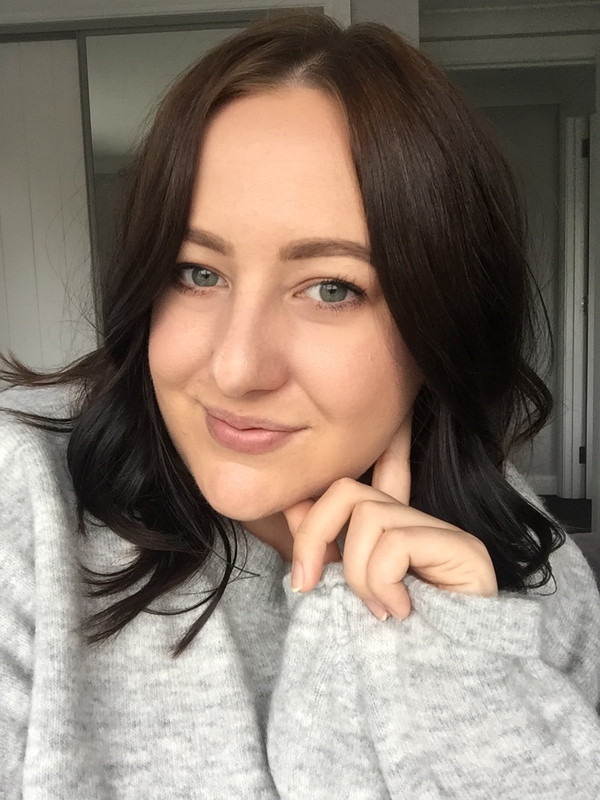 Now I also want to get onto my YouShop experience as well, as it can seem pretty confusing and is nerve racking to use it for the first time [note - this not sponsored at all, I just want to share with you all my thoughts and advice]. Basically YouShop is run by New Zealand Post and it acts as a forwarding service between the online shops in the US (or UK) that don't offer shipping to NZ, or is just really expensive to ship here. All you gotta do is sign up and you are given a unique number and an address which goes to the YouShop warehouse and then it is sent onto you from there, once they calculate how much the shipping will be. Use the YouShop address as the shipping address (obviously) but then use your NZ address for the billing, so it matches your credit/debit card details or else they may not allow the payment to go through (for fears of fraud etc). MAC ship within the US for free, so that is a bonus - once it arrives at the warehouse they measure the box and determine the shipping by weight, so keep that in mind. Wow that was a long one, but I really wanted to share that with you all and I hope that it helped at least one of you! 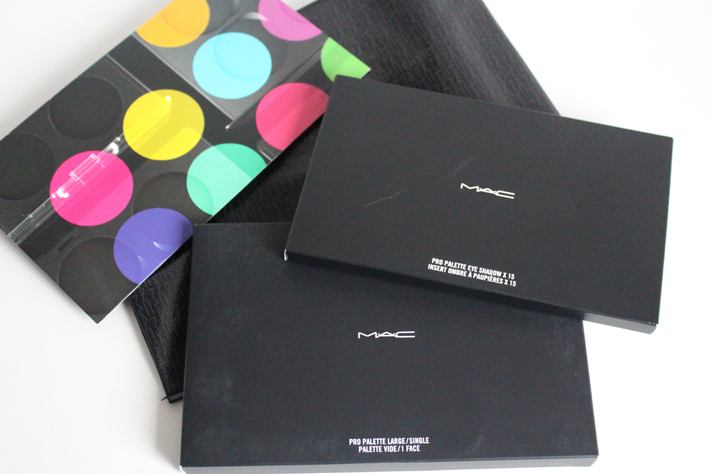 Keep your eyes peeled for tomorrows post where it will be swatch-tastic and full of some serious MAC shadow lovin'. Have you used YouShop before and have any pearls of wisdom, please share them below in the comments!